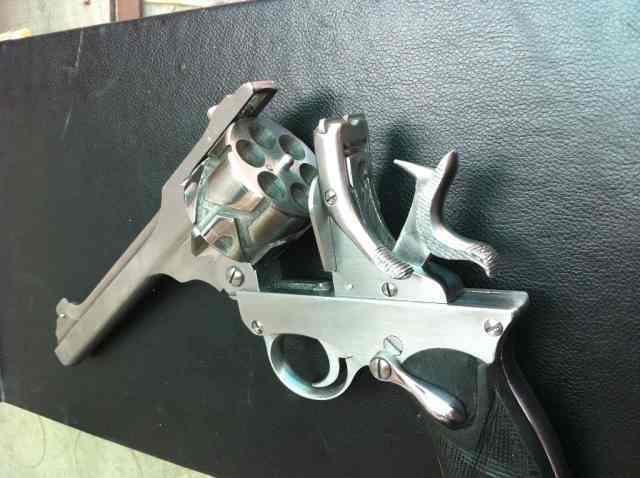 The Webley Fosbery was an attempt to bring the revolver into the modern age. By modern age I mean the beginning of the 20th Century. Autoloaders were making inroads into the military gun market but mostly in smaller calibers than the standard British service revolver. The Mauser C-96, carried by Winston Churchill as a young cavalryman for instance, was a .30 caliber. 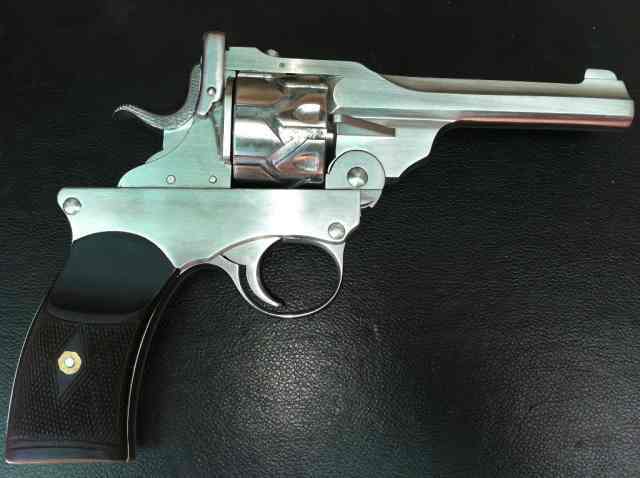 George Fosbery thought an automatic revolver, based on the Webley service pistol, would bring along the famed stopping power of the .455 cartridge. 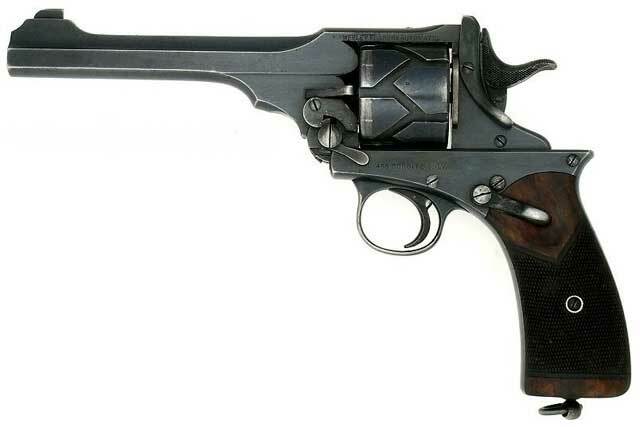 The automatic revolver consisted of a top half of the Webley revolver mated to a slide, which after firing, advanced the cylinder to the next round and automatically cocking the hammer. Not an autoloader as such, but did have the advantage of a lighter trigger pull, as enjoyed by automatic pistols of the time. 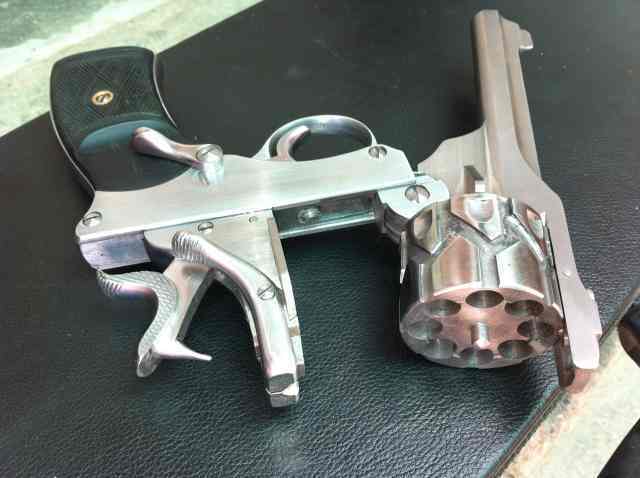 The revolver wasn't a great commercial success, but it was a robust revolver and is now an interesting collectors item. A Pakistani company is interested in bringing the Webley Fosbery back into production. They have been making hunting supplies, knives, and shotguns until now, but have branched off into pistols, and export a copy of the Tokorev TT-30. Recently they have reverse engineered the .38 and .45 Webley Fosbery and are working towards its production and acceptance by global quality organizations. The Pakistan Hunting and Sporting Arms Development Company is committed to bringing Pakistan's gunmaking process into the 21st Century. 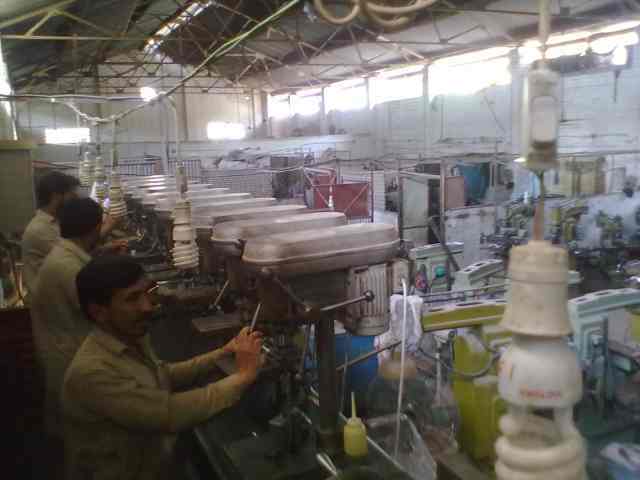 They have a big hill to climb, for instance, with the perception that Pakistan's guns are made in the small shops of Darra, where one room shops equipped with a few files and a vise turn out some impressive looking (but maybe not so impressive under the hood) firearms. PHSADC aims to get away from that perception. Their factory employs 200 people, and while they don't look like the CNC centers of Colt for example, it's light years ahead of their kin in Darra. 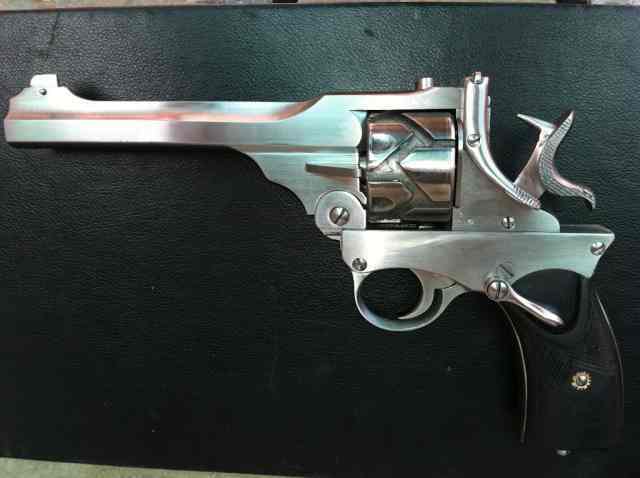 They are going to build this Webley Fosbery copy in both .38 and .455 calibers, and here are a few pics of unfinished guns they are still working on. This gun reminds me of a Spanish .44 I passed on years ago, primarily because it was Spanish. It was a copy of a S&W No. 3 and it looked flawless, but it bothered me because of the perceived quality of Spanish guns that I had at the time. I do have this old Spanish copy of a S&W .38 from a company that was consumed in the Spanish Civil War. Although there are some Spanish guns you should pass on, this one works great, always has, and I suspect will for quite a long time. They have or are working on agreements for the guns to be sold in the US by Century Arms and TG International, but my requests for information from those 2 companies have gone unanswered. PHSADC has had a booth at the Shot shows since at least 2010, and are serious about getting into the global market. It will be interesting to see if they succeed.